Before I go on to my inevitable list of Xmas recommendations, just a quick tip for anyone who wants to see more from us. We’ve really started building up our Youtube channel, so check it out for reviews, recommendations and of course, the youtube staple: Lists! Anyway, it’s that time: Christmas gifts! For others or for yourself. It pretty tricky to actually nail down a few select picks for Xmas, as Cigars are such a classic Christmas present, you could pretty much choose any and still have a perfect gift! However, there are always a few that stand out as favourites every year. If you’re keeping it simple, tubed cigars are ideal (and a great stocking filler!) Montecristo Petit Tubos are consistently the most popular cigar in the world and it’s easy to see why. Their rich, sweet and spicy blend is regarded by many as the “Classic” Cuban taste and the Mareva format is a conveniently quick(ish) smoke for the chilly Christmas weather! Alternatively, I always recommend H. Upmann Corona Juniors as a “Safe bet” cigar. They won’t be too strong, even for the “Cigar once a year at Christmas” type cigar smokers, but they’ve got enough flavour going on that the more experienced can still enjoy them. Naturally, you also can’t go wrong with a Tubed Cohiba, for an immediately recognisable seal of approval! If you’re looking for something a little fancier, there are plenty of options for gift packs. These Single Cigar Gift Packs make for a well-presented gift that doesn’t break the bank and they come with a double-bladed cigar cutter to boot! For larger gifts, I always recommend these EMS Seleccion gift packs, which showcase some of Havanas most popular brands and formats. 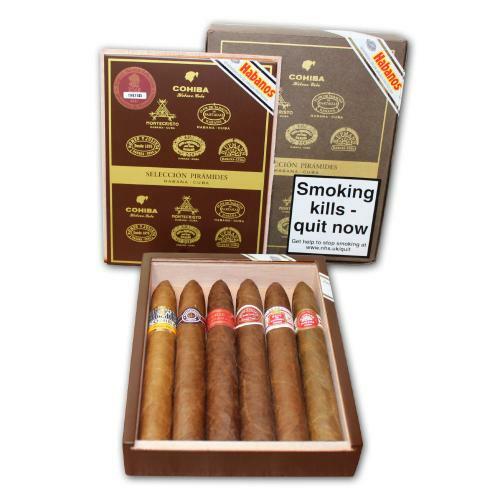 You know I love a bargain, so my personal favourite is the Seleccion Perla pack, for its great value! A little tip: A lot of these packs now come with outer sleeves that show the gross new health warning pictures, this means you can remove these sleeves before wrapping, so you don’t have to give someone a gift with a revolting picture on it. Bonus! IMO! Speaking as a pipe smoker, I can say we always love having a new pipe to add to the collection. Packs of tobacco are great too: they may not seem the most “gifty” thing out there, but it’s something that pipe smokers constantly need to replace, so we always appreciate receiving some as a gift. There are actually a few special edition pipes out there, such as this stunning range of Peterson Christmas Edition pipes. These feature a warm dark ruby bowl fitted to a snowy white mouthpiece, all made with the love, care and craftsmanship that makes Peterson pipes so world renowned. 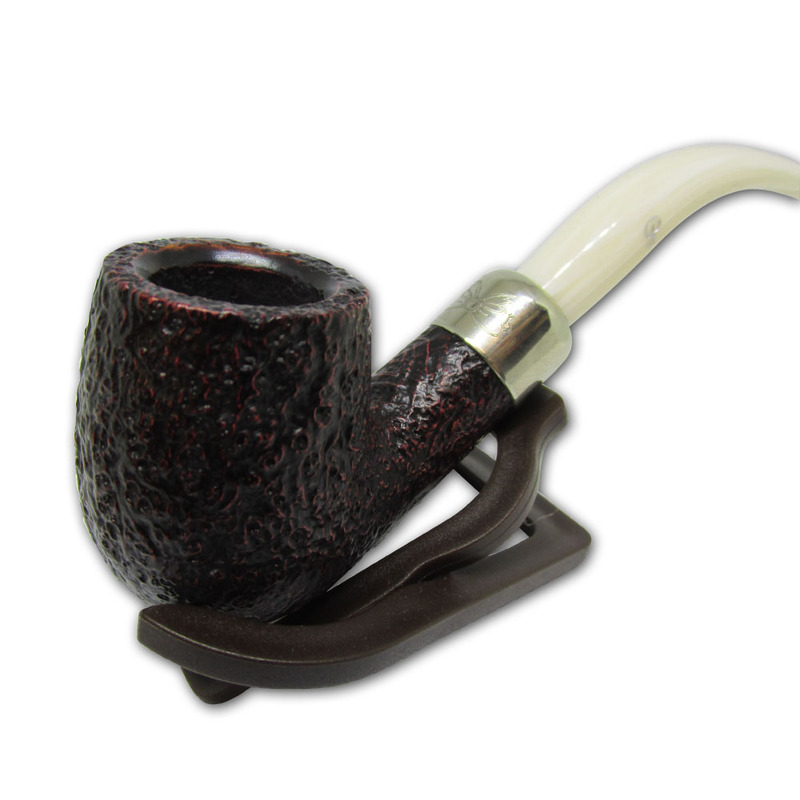 For something a little different, you can also get a selection of Chirstmassy pipes from Chacom. These have a nice light brown bowl, a white stem, all finished off with a festive ribbon. If you don’t want to go in the overtly festive direction any classic pipe will still make a lovely, traditional present and it doesn’t get much more traditional that the Peterson System 317, which comes in a variety of colours and finishes. Now, for the stuff to actually go in the pipe! This is our first Christmas since the new laws that banned a lot of flavoured tobacco, but fortunately, there are still some festive blends out there that would make a perfect accompaniment to a Christmas Pipe. My personal favourite is Samuel Gawith’s Christmas Mixture. We still have some stocks of the 2014 edition, which is starting to age beautifully and has all the tastes you’d expect from a Christmas mix; Xmas Pud, brandy, orange, cinnamon, all in a mixture that burns slow and smooth, all the way to the bottom of the bowl. Optional Base of 1 part of any natural, uncased tobacco to give more of a “Tobacco-y” taste. Mix it all up in a bowl, leave to marry for as long as you can resist, then get stuck in! So those are my recommendations for the merriest of Christmases. I hope I’ve given some inspiration!